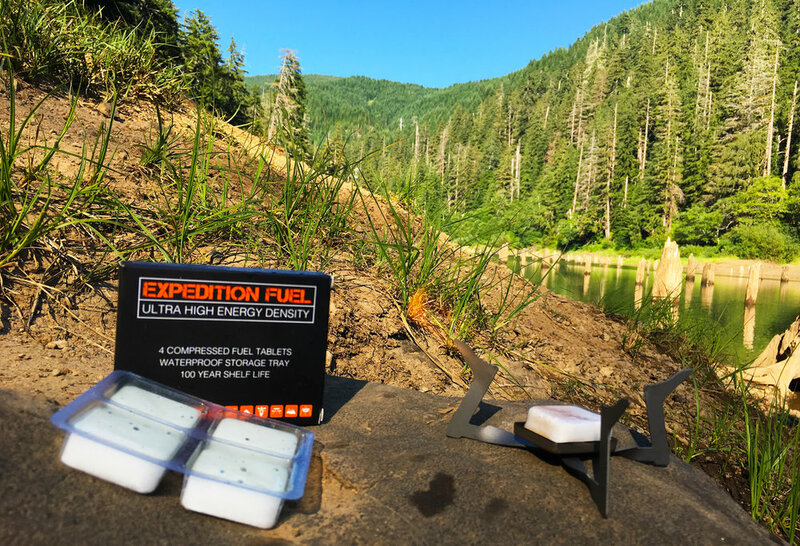 Expedition Solid Fuel XL Hexamine Tablets - Rugged & Submersible Storage Trays for Camping Stoves and Fire Starting, Backpacking, Survival, Bushcraft and Emergency Prep. Each tablet is stored individually in a durable (not foil), submersible storage tray. This is to prevent moisture absorption and physical damage. Ultra high energy density for better performance and longer burning time. 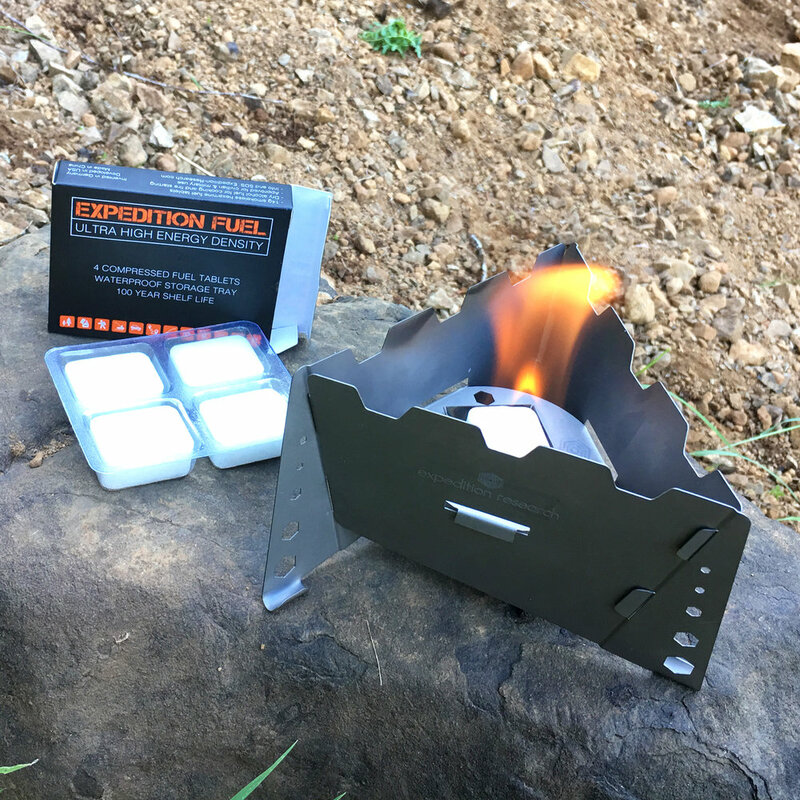 Safe, stable and smokeless fuel cubes are perfect for starting campfires, heating or boiling food and water. Non-Toxic and creates no ash residue. The weight of each tablet is 14 grams and has a burning time of around 15 minutes. 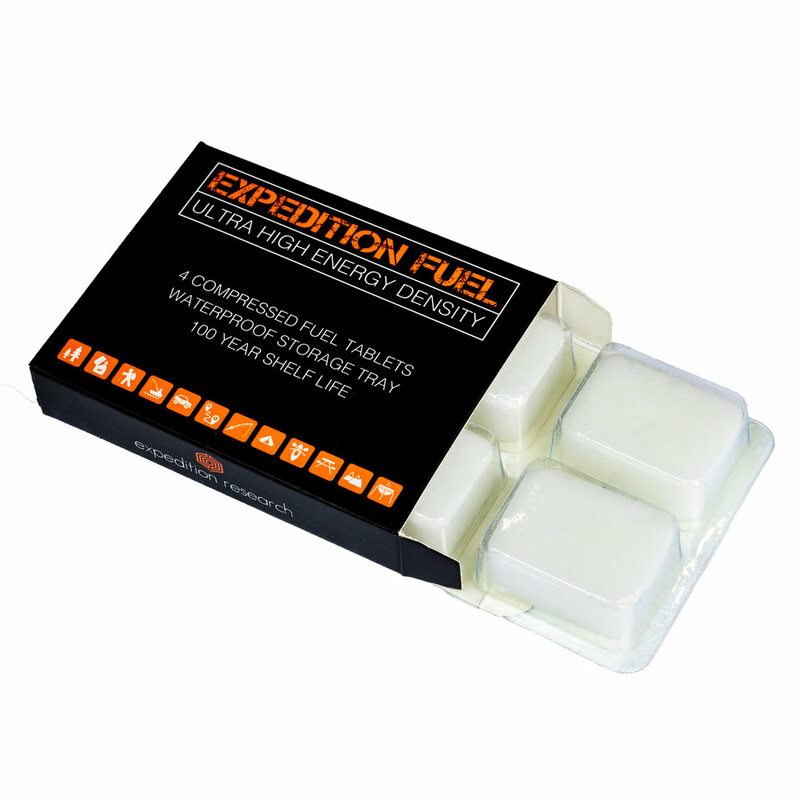 Suitable for both high/low altitudes and temperatures. 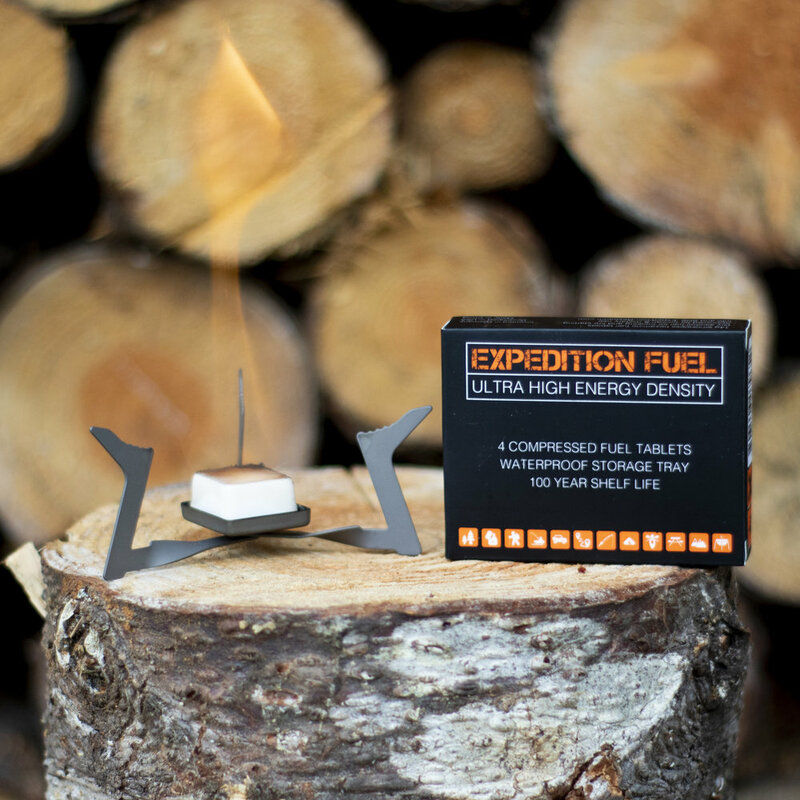 Safe and clean fuel that ignites with matches or a lighter. Smokeless burn. 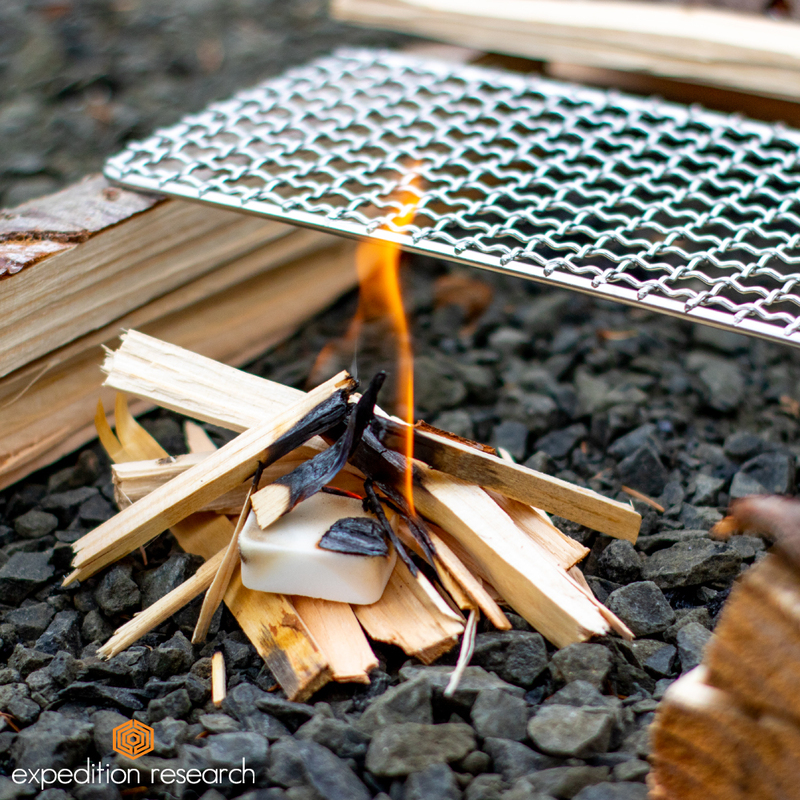 Great to use with our pocket stove or as a fire starter. 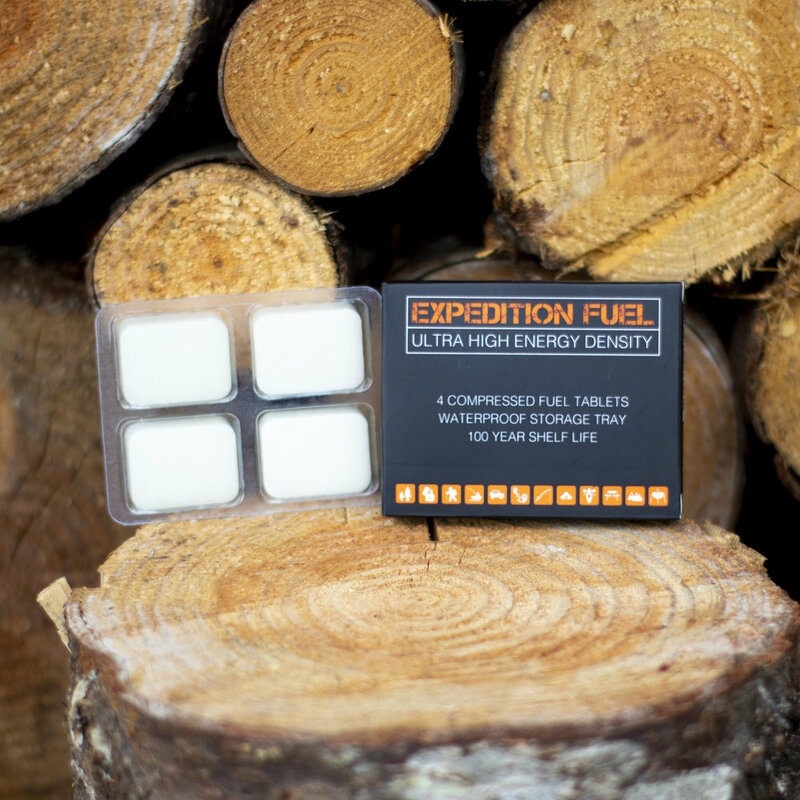 TheOutdoorGearReview puts Expedition Fuel to the test.